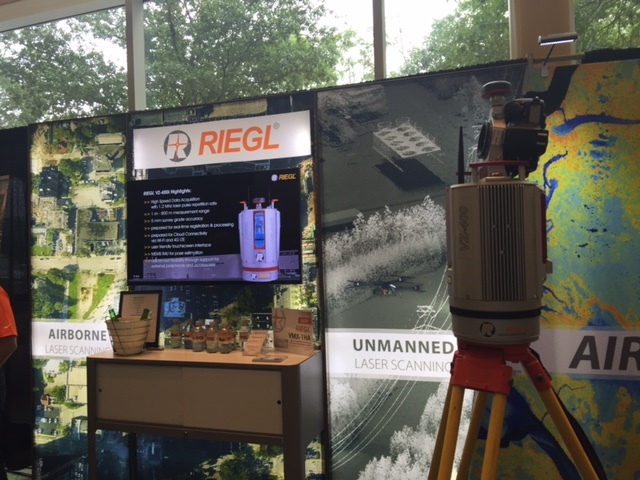 The Exhibit Hall showcased the latest and greatest in the world of 3D laser scanning, reality capture, UAVs, sensors and technologies designed to manage, analyze and share scan data. Solutions to populate models for GIS, Civil, BIM are taking into account the whole lifecycle the model needs to depict. I spoke with Autodesk ReCap general manager Aaron Morris about ReCap, which bridges the gap between the reality capture devices (laser scanners, handheld scanners, UAV / drones) and the Autodesk portfolio (AutoCAD, Revit, Inventor, Navisworks, Infraworks, BIM 360,…). Now ReCap includes the ability to do reality mesh, making it possible to create high quality meshes from reality data. Users can fix meshes and optimize them for use in digital workflows, subtractive manufacturing, additive manufacturing and 3D interactive media. The reality mesh is capable of creating 3D meshes from reality inputs, such as photogrammetry, handheld scanners, laser scanners and photogrammetry from UAVs. It is all cloud-based, and in addition adds survey control and targetless registration. “One part of reality capture is collection, the other part is making the data usable,” said Morris. You can fly a UAV, take images and use the point clouds to set the context. Then you can use the reality mesh and orthoimagery and bring that dataset into Civil 3D, Navisworks, Revit or AutoCAD. Autodesk launched the Data Services Dashboard inside Recap 360 Pro. ReCap 360 is free and allows sharing. The subscription to ReCap 360 Pro comes at a reduced price $300 annually with more features. Two services have been released: a clean up feature, and the ability to turn a point cloud into a mesh. Laser scanning began in the robotic world and needs good sensing, machine control and quality control. Autodesk is building a new office in Pittsburgh that is completely digitized. 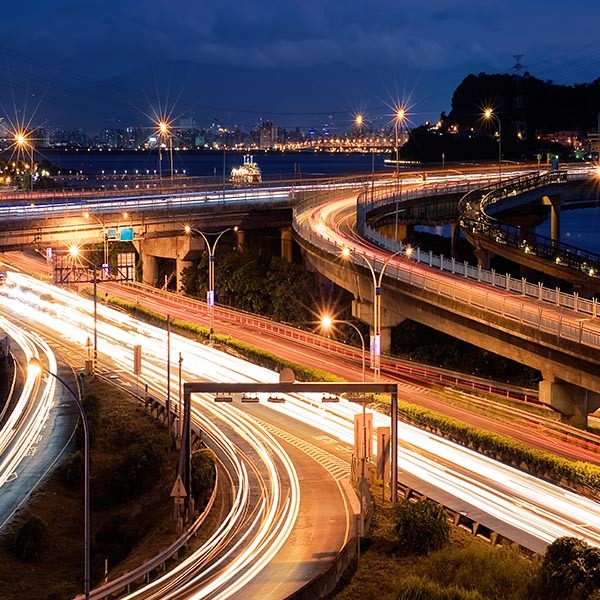 The Autodesk partnership with Carnegie-Mellon utilizes the Audi Computing Lab where they can observe how architecture and robotics come together. With sensors, indoor location can take off. “Indoor asset management will be obvious,” said Morris. He concluded by saying that maturity and disruption are happening simultaneously in this industry. 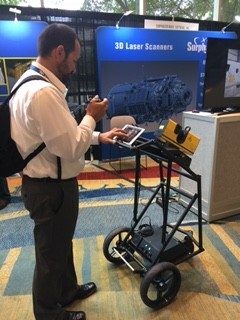 The potential of 3D scanning for indoor management of assets with geo-location, for use in transportation projects, surveying, with new mobile mapping solutions from vendors such as Trimble and Surphaser, is formidable. 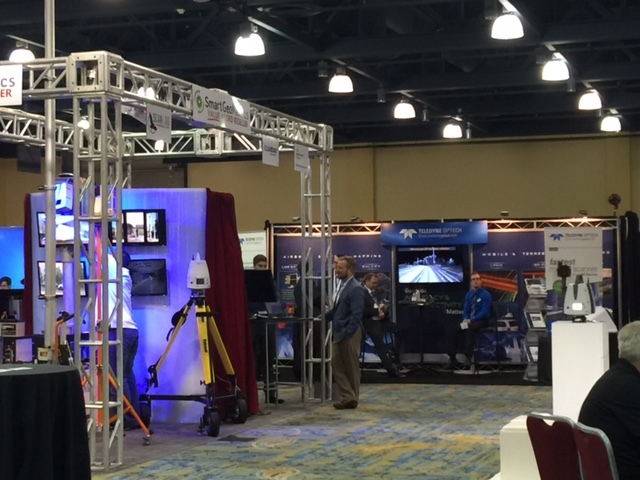 Basis Software Inc. and GeoSLAM Ltd announced the launch of SurphSLAM at the SPAR 3D Expo and Conference. 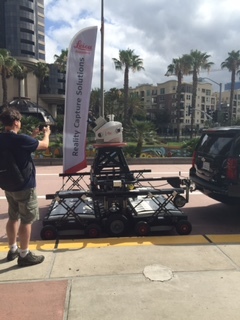 SurphSLAM is a trolley based mobile mapping system that combines the new Surphaser 10 laser scanner and GeoSLAM’s new RealTime SLAM registration software. SurphSLAM can be used for extremely accurate high resolution 3D mobile mapping without the need for GPS. This unique integration of technologies also allows for the resulting point cloud to be registered and displayed in real time facilitating unparalleled performance and speed of survey. While I had known about Bentley’s ContextCapture since November’s YII 2015 Conference in London, it was great to talk to David Huie at Bentley about the new product. ContextCapture is Bentley’s reality mesh software that allows users to consume photos as well as point clouds. It allows the capture of a city scale model, as in the model created for the Pope’s visit to Philadelphia. It can also be parallelized across many machines to do 3D construction. The number of triangles in the mesh determine the best quality meshes, said Huie, and can be used by non-pro scan data users along with the Bentley product LumenRT. It also can be used for continuous surveying. Bentley’s PointTools, Descartes, and ContextCapture software, and engineering apps start from the premise of reality modeling. You can load huge reality meshes onto a smartphone. Microdrones is a startup UAV company in the U.S. used for mapping and surveying. Novice pilots can learn how to use these within an hour. XACTsense is the hardware and software used for the drones, and NCTech is the camera manufacturer. Cloud data can be colorized for scanner manufacturers. The scene can be scanned with the scanner head off. With a camera on the tripod, their software inside the scanner colorizes the scan data. A new feature is a measurement module SDK to include with the software that allows you to take measurements from panoramas. PointFuse allows the translation of a point cloud to a vector model in minutes. Orbit Geospatial Technologies offers mobile mapping solutions, Orbit Oblique solutions and Orbit UAS mapping solutions. The mobile mapping technology allows for collection with a content manager, feature extraction and share/deliver publisher. The UAS mapping solutions are able to detect a surface by points and additionally view, check, combine, measure, extract, profile, volume and contour. CurvSurf develops and distributes real time 3D object geometry recognition, measurement and extraction SDK for 3D imaging measurement applications for mobile, tablets, and 3D scanning devices. GeoSlam is a handheld mobile mapper used to map the exhibit hall in seven minutes. This is a very quick way of mapping without a GPS. Collaborating the GeoSlam software with CurvSurf gives users high precision scanner regulations in real time. The product ThinkBox provides Sequoia point cloud meshing software. Trimble’s Carl Thompson said their primary software announcement at the show was RealWorks 10.1, office software for terrestrial laser scanning. The new release does ground vs. vegetation extraction, scans poles, signs, etc. and has new extraction and classification tools plus fine detailing modeling tools for objects missed in plant modeling. RealWorks makes published packages for the customer including notes, PDFs and images. Trimble, in collaboration with Microsoft, will bring Microsoft HoloLens wearable holographic technology to the AEC-O industry. The collaboration allows the ability to explore ways to augment today’s technology with solutions that allow individuals to more effectively interpret and interact with physical and digital information and their spatial relationships—transforming how architects, engineers, contractors and owners work. Riegl USA announced the VZ-400i, which is new in the U.S., a 3D laser scanning system which combines a new processing architecture, internet connectivity and a suite of MEMs sensors with RIEGL’s latest Laser Scanning Engine technology. The company 6T3 uses RIEGL’s high-accuracy mobile sensor into a proprietary backpack system. They use it for scanning race tracks. Tan Nguyen, forensics LiDAR specialist, presented this processing architecture for data acquisition and simultaneous geo-referencing filtering in real time that also has cloud connectivity via Wifi and 4G LTE, user friendly touch screen interface, range up to 800m accuracy 5 mm, wide filed of view at 100×360 degrees. This entry was posted on Wednesday, April 20th, 2016 at 8:59 am. You can follow any responses to this entry through the RSS 2.0 feed. You can leave a response, or trackback from your own site.